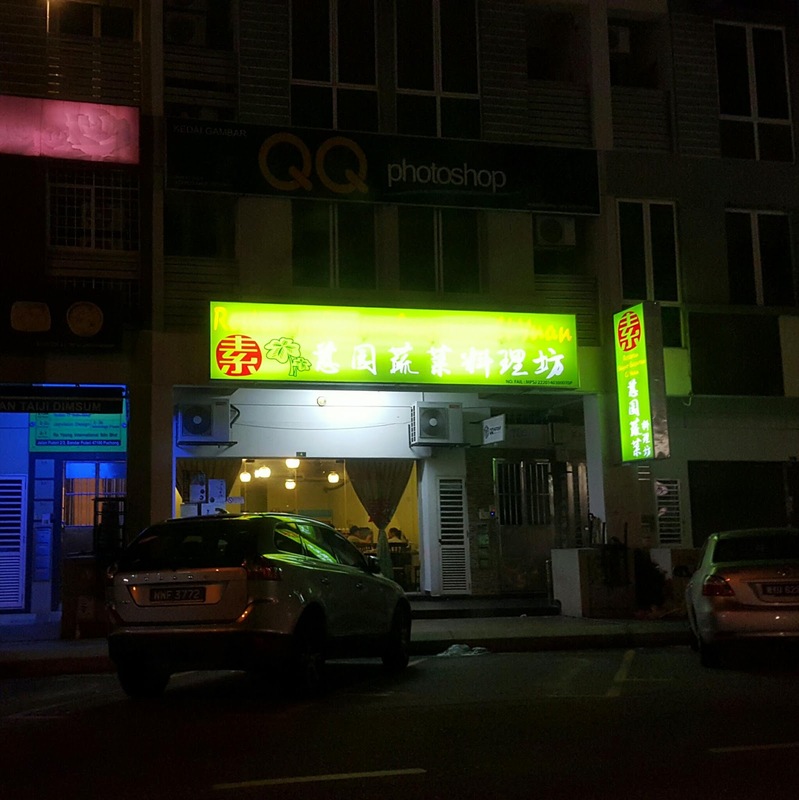 Yesterday night, my uncle bought us to a Ci Yuan Vegetarian Restaurant nearby IOI Mall, Puchong. 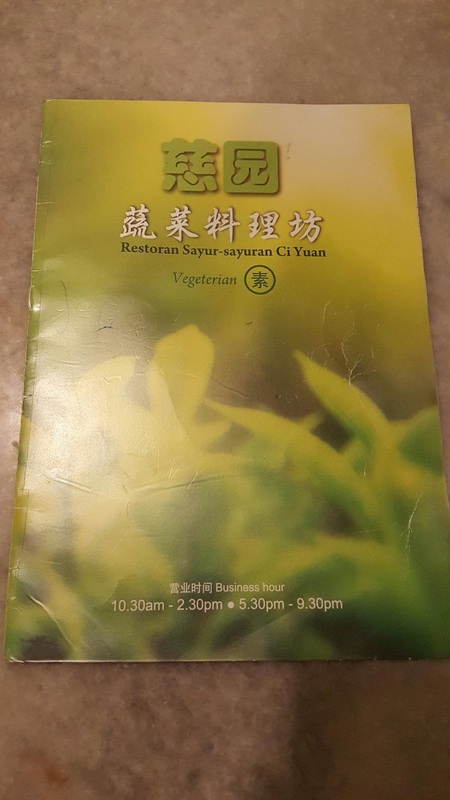 He said this vegetarian restaurant is reasonably priced and delicious! When enter into restaurant, it's decoration was nothing much, very easy and simple, clean and bright. We were there around 9pm and guess what, most of the tables still occupied. We choose Set Meal for 2 to 3 person since only 4 of us. The set meal coming with a compulsory vege and soup of the day. 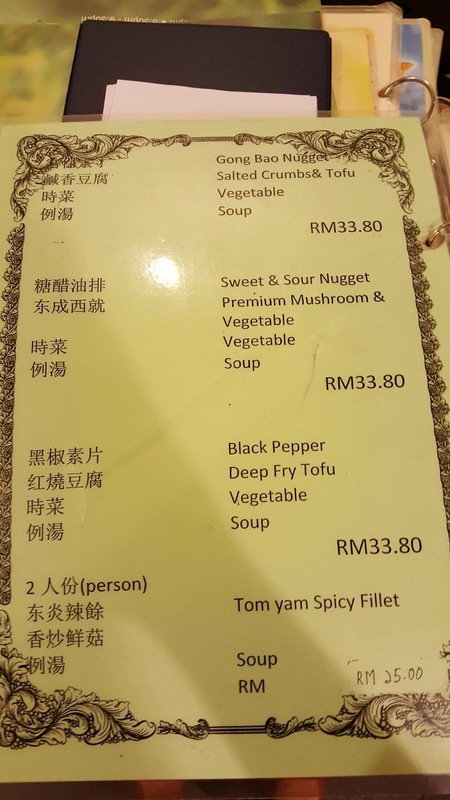 Can choose your own vege and cooking style. Soup of the day. 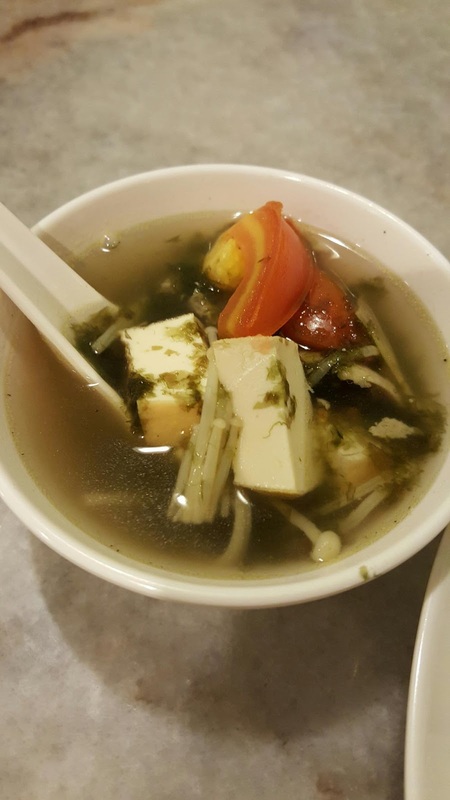 Seaweed soup with golden mushroom, tomatoes, tofu and some vegetarian ingredients. 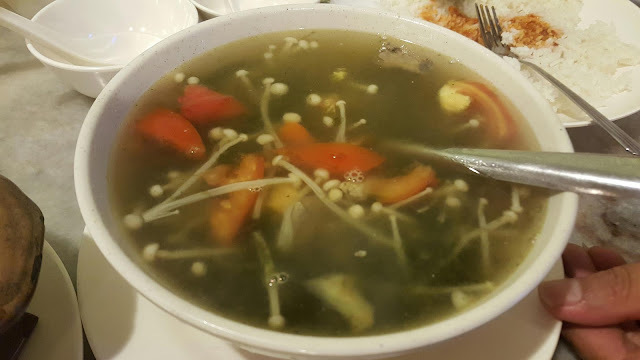 The soup with strong aromatic seaweed and it's sweet. Everything inside the soup taste harmony together. Spicy Vege Curry Mutton. 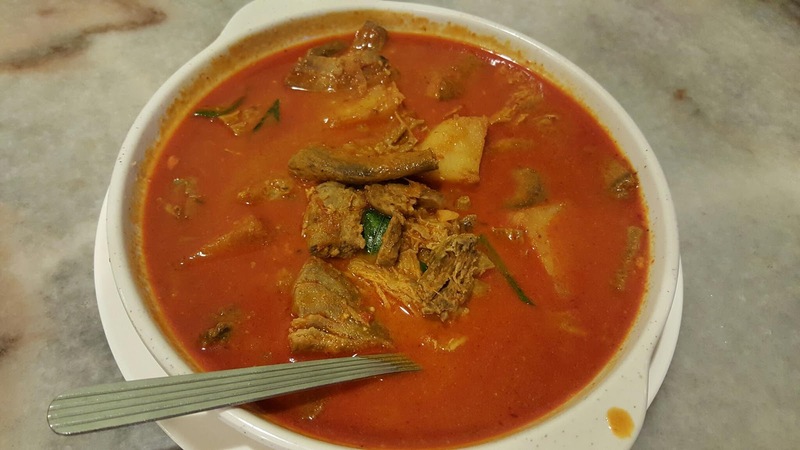 Strong, aromatic and smooth curry gravy with vegetarian mutton, potatoes, long bean and other vege. Kinda nice. Thai Style Fish. Vegetarian fish which made of soybean and alike tofu, topping with sweet and sour Thai Style sauce. The fish is crispy outside and soft inside with soy bean fragrant. Delicious. I love this dish very much. 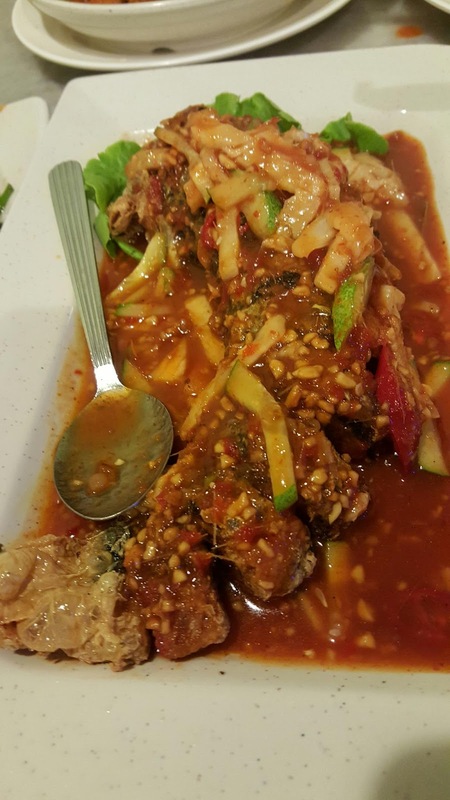 Extra charge for this Thai style fish because we upgrade from Salted egg fish fillet from the set menu. Claypot fish fillet with yam. 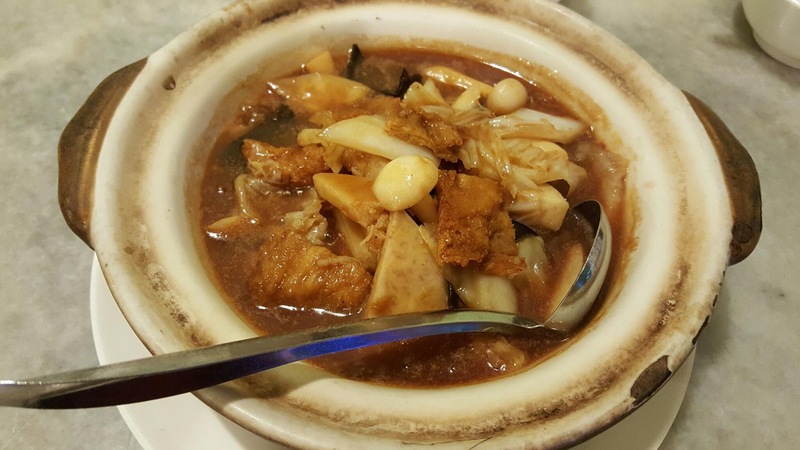 Soy bean curd with yam, cabbages, mushrooms etc. The yam slices was awesomely cooked, soft and fragrant. I would say this dish was a bit too sweet for my own preference, perhaps the sweetness was from generous amount of vege. 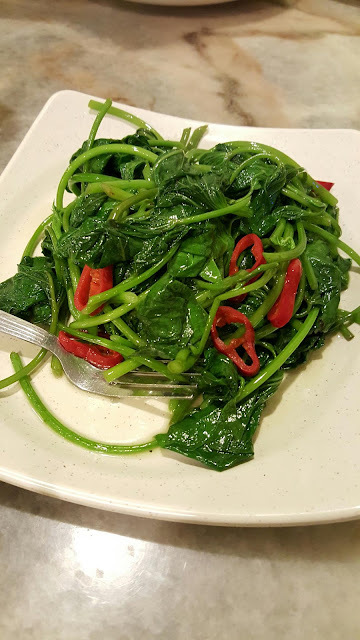 Stir Fried Sweet Potato Leaves. Stir fried fresh vege which do not have MSG added. Taste good when piping hot! 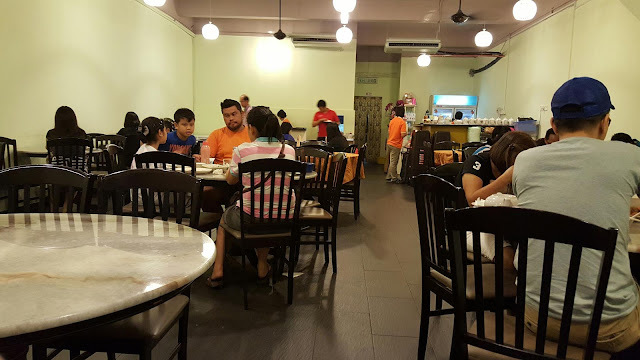 Overall, the service and food here was good with reasonable price charge. 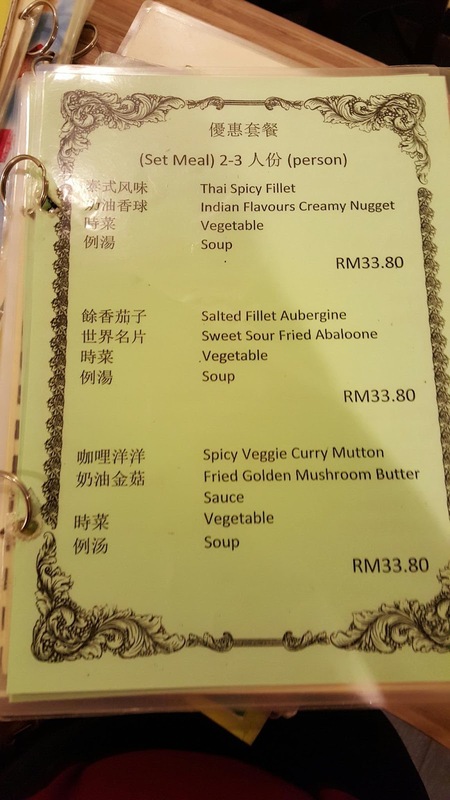 I would say price here was cheaper than Vegetarian restaurant I visited before. 4-G, Jalan Puteri 2/3, Bandar Puteri, Puchong, Selangor.